For today's Mondays with MontyC, I want to speak about my recent experience with a Sisley facial I had - not so much product-specific, as experience-specific. I love facials. Not only are they very relaxing but you can see the benefits of a good facial for weeks afterwards. Although like most people, I probably have less professional facials and more DIY/at home ones than before, I try to have a few a year. This year, I discovered that several of the skincare counters at Brown Thomas offer facials. There's usually a charge involved, but it's redeemable afterwards against that brand's skincare line. It's a great way to try a brand (or see how products perform) that you might be curious about. Which is exactly why I signed myself up for the recent facial offering from Sisley. 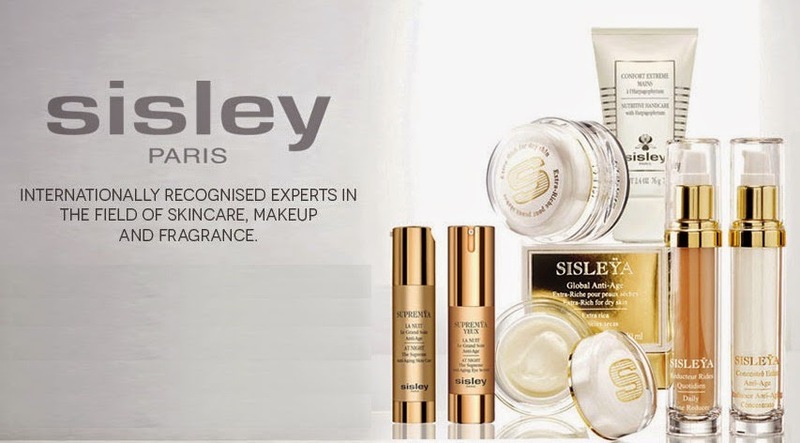 Sisley, I know, is a relatively expensive skincare brand. I say “relatively” because there are other brands more expensive that it such as Crème de la Mer and La Prairie (to name just two) and also because everyone's personal definition of what “expensive” is varies from person to person. So I had wanted to try Sisley out for some time and the facial I had was one the best I've ever experienced. Thanks to the lovely sales assistant’s attention and knowledge, it was as much a detailed skin consultation as anything else. First off, I was asked what I was using at the moment, and as I rattled them all off, I started to think “feckit, that's lot isn't it”. First words out of the lovely ladies mouth... “That's a lot of products!”. So onwards to discuss my skin and credit where credit is due, it was fundamentally about my skin and not the dreadfully hard sell, so I sat up and paid close attention. In a nutshell, apparently I have good skin (which was great to hear), but I'm doing far too much to it, too often and it's beginning to show. My skin type was officially diagnosed as normal with a little dryness. Not the "extreme dryness with a side order of dehydration" I'd always assumed and catered for. I've discovered that the redness I can get on my chin and across my cheeks is actually very mild rosacea rather than aggrevated, dry skin. Diagnosis completed, tailored the facial to help soothe, calm, and begin to the process to restore my skin. Every product she applied felt cooling, calming, nourishing, relaxing. An important point was made: I was mistreating my skin with the wrong products. Another reason that a facial, even every year or two, is a good idea to make sure your approach to skincare is the right one (our skin does change, after all, with environment, lifestyle, age). Her main point to me was this - when it comes to skincare, don't complicate things for yourself. Think carefully before you buy or use something: do you need a particular product. What do you want it to do for you. What are its ingredients. The latter in particular is something that I'm becoming more conscious of. For example she said there might be an ingredient in a product that acts as a gentle exfoliator on the skin (which is fine) but if I'm using two or three products with this ingredient in it, then it's too much too often and all I'm doing is gradually stripping my skin (which is exactly what I don’t want to do but turns out I'm doing). So I'm under orders to only exfoliate once a week, and stop using chemical exfoliators daily and mechanical exfoliators twice weekly – it’s too much! I was advised that I can continue to use serums or oils as before, but to be more aware of my usage and not to overload my skin with them. Let's get the prices out of the way - the eye contour mask was €93 and the moisturiser was €124, and even with the €50 for the facial towards purchase, these were not inexpensive products. Although I was fully aware of the prices when I signed up for this facial and had budgeted accordingly, I was just slightly surprised (slightly miffed, if I’m honest) that the “redeemable against purchase” offer was against purchase of two items, not one, which made this more expensive than I had planned. However for the price of €207, I had one of the best facials I’ve ever experienced, I had the pleasure of a tailored, expert, directed advice from a very knowledgeable lady, all which will stand to my skin going forward (I would pay money for this alone), and I left with two full-sized products to bring home with me. When I thought of it thusly, I realised that overall, I was impressed and would recommend the experience to anyone looking to get their skin back on track. Not that it has to be with Sisley specifically, but as a general reminder that, like with occasional dental checkups, it's good to have a skin checkup too from time to time.